This week, the Policy Hubs in Djibouti and Uganda met to decide how they intend to institutionalise and maintain their Policy Hubs, working groups and Information Nodes. In the Sudan, the Technical Working Group convened to consolidate livestock project proposals for further action by their Policy Hub. The Djiboutian Policy Hub, attended by IGAD LPI Chief Technical Adviser Dil Peeling, agreed on an action plan that foresees better representation of women and of senior officials and that establishes a legal status for the institutions. Dr. Otieno Mtula attended the Policy Hub in Uganda, which examined ways through which the national Policy Hub and Information Node could be institutionalised to keep advocating and supporting pro-poor policy processes in the country after IGAD LPI closes in February 2012 and established a smaller sub-group to finalise their plan. The meeting also examined concepts being developed for inclusion in the country’s development planning. 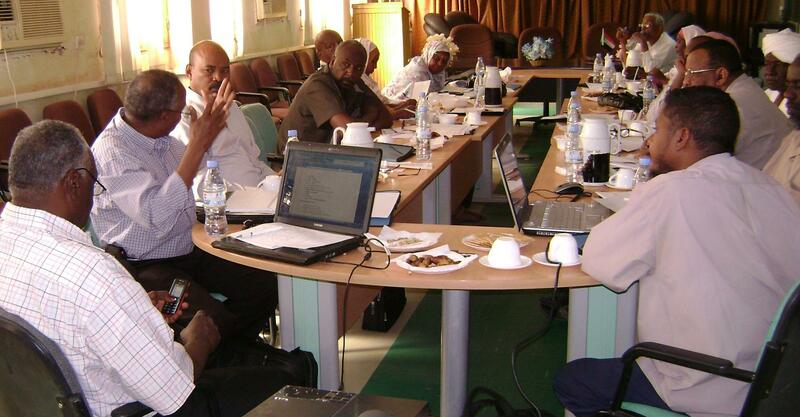 Dr Abdi Jama, IGAD LPI Livestock Information Adviser, took part in a Sudanese Technical Working Group meeting on better representation of livestock in the National Development Plans. The meeting focused on consolidating the array of priority small projects identified so far into larger projects and programs to be incorporated in the Country’s Poverty Eradication Paper. These projects will be submitted to the Policy Hub chaired by the Ministry of Animal Resources and Fisheries for final review, based on their poverty and gender focus. The meeting is scheduled for the end of December.